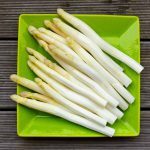 I never thought about it until I was asked by a colleague one day, “How do you cook white asparagus?” Then it dawned on me: maybe there are others who wonder how to cook these tasty treats. So here you go my friends! Place the steamer with the salt and water on a medium heat on the stove with the lid on. 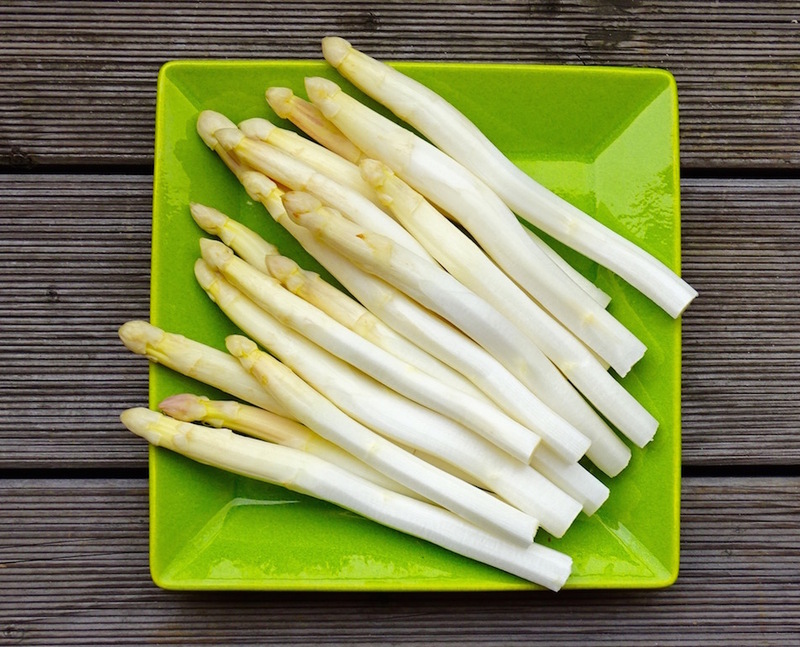 Wash your asparagus and pat dry. Cleaning the asparagus takes time and precision. Make sure you peel them 2/3rd of the way up the stem. Once peeled trim 1 1/2 " of the bottom off and freeze the ends for making my Creamy Asparagus Soup! 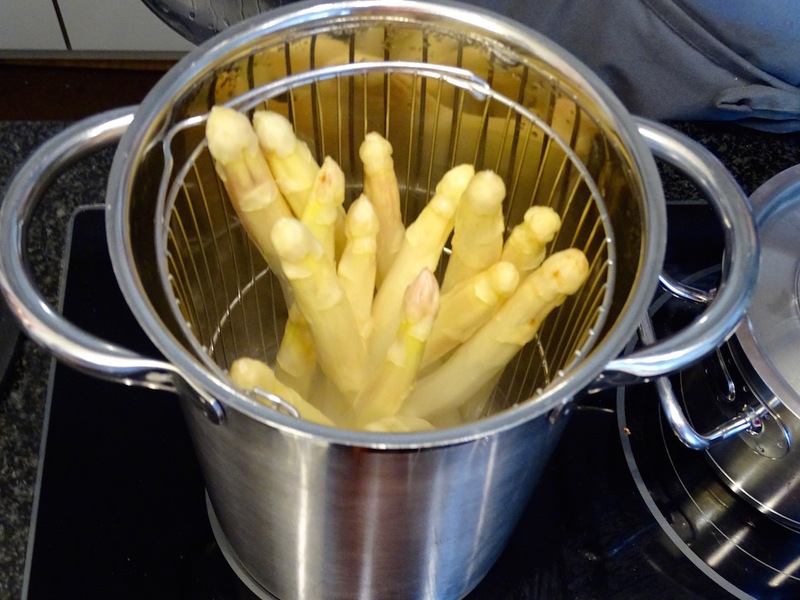 Place all the asparagus in the steamer with the boiling water and turn it to high. steam for 8 minutes. Check to see if done. Use tongs to pick up and if the asparagus bends and the end is floppy it is done. It should be somewhat firm. You can use my homemade Hollandaise or melted butter. 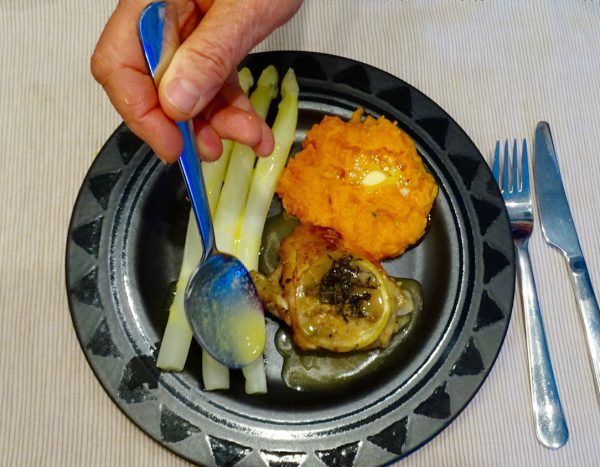 A great treat is making this along side my Lemon & Garlic Chicken and using the gravy for the asparagus as well (my next post). I like them with my homemade mayonnaise! Any way you like is the best way!